Okay, I know, I am out of day about this news, I been quite busy with no time to share such a passionate affair, but I have some time now. 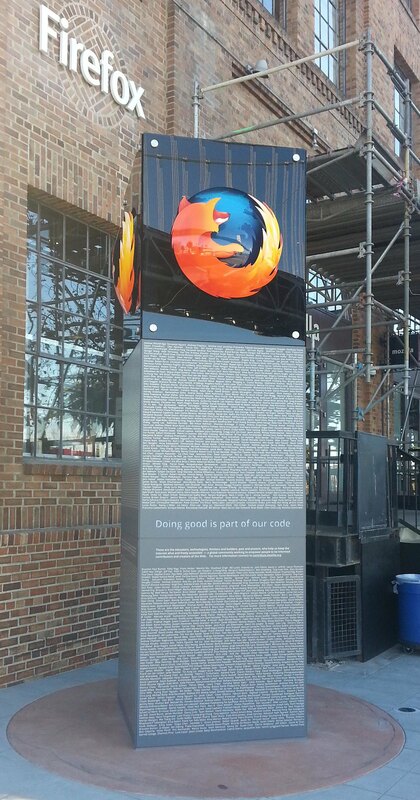 Mozilla have a monument right outside of their offices in San Francisco to say thanks to all the people around the world that keep the Web open, secure, inclusive and in the way you know it today. There are 4,536 names on four panels and, as you probably guessed, my name is there! It is a great honor to have my name in this beautiful monument. Thank you Mozilla and thank to all of the Mozillians out there!